Bucket of Crumbs!....... Makes a great holiday gift...... Nationwide delivery. From Anonymous of New York, New York on 4/2/2019 . I was sent these as a gift from a friend. So good. I will be ordering more. YOU CAN'T JUST EAT ONE! From Elsa Colon of HENRICO, Virginia on 12/23/2018 . I received this as a gift and we ABSOLUTELY LOVE IT. You can't just eat one...it's delicious. I ordered one as a gift for friends and they were so happy and loved it. Will definitely buy again. From Alen Byrd of leesburg, Florida on 12/19/2018 . They are so addictive. everyone wants to know where I got them. 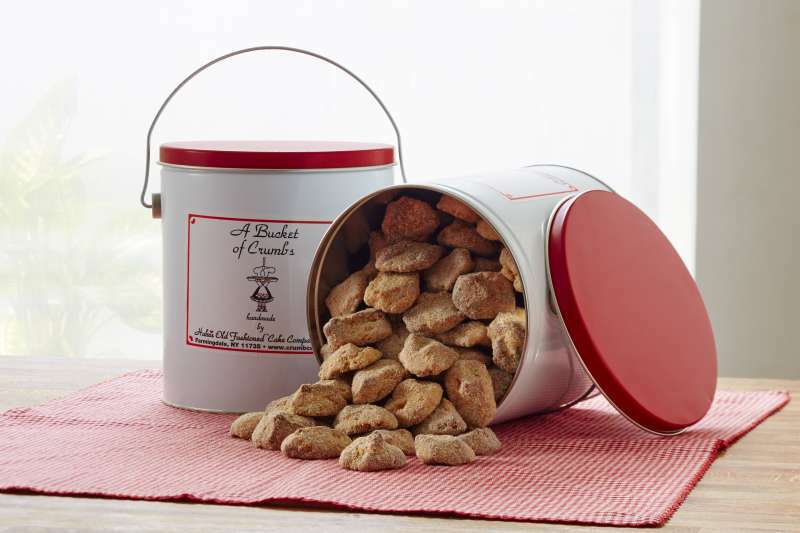 If you haven't tried bucket of crumbs it is a must for any cookie lover. From Anonymous of Somerville, New Jersey on 10/29/2018 . Great gift for my husband's birthday!! He absolutely loves these crumbs!! They are so good!!! From Anonymous of Levittown , New York on 5/16/2018 . © Hahn's Old Fashioned Cake Company. All Rights Reserved.